Long time readers will remember a few years ago some friends held a gorgeous market in their backyard a few times a year. You can see the pics from some of those markets here and here. After a break for a few years, the market was back last weekend and at an even better location. Look there is a rare pic of me! A wonderful community vibe as it’s really only advertised by word of mouth and the stall holders are friends and friends of friends so everyone mills around chatting and they hand out sandwiches and baked goodies. This year there were some gorgeous kids doing face painting and they’d made some salt dough decorations which you could paint on the day along with a sausage sizzle. Goose and I had a stall each. I made fabric covered cards, clay decos and 3D rainbow cloud garlands. She made little DIY peg people kits along with all the pieces for kids to make their own peg person on the day. She had such a wonderful time. For a child who is hard to wake in the mornings she was up at 6.30am all dressed and ready to pack the car! She sold all 15 of her packs and has since had orders for 25 more, so she’s pretty chuffed! All on her own she decided that she would like her profits to go to her friend in Rwanda. A girl whose education we support who shares a birthday with Goose from a school her Granny is involved in. You can read about when Granny met her over here. My fun and clever sister Clare had a stall selling vintage games that she had made. The biggest hit by far was her fake vomit!! Her husband made it using latex and dried soup mix! Hilarious and far too realistic looking! I’d love to give it a try! My gorgeous friend Caroline who makes the most beautiful things was there also. Those adorable little sausage dogs flew out the door! Lucky for you she also has an online store so you can get in on the action also. I purchased a few of her slip-cover headbands that you can swap and change as often as the outfit (among other things!). Such a fun day! Thank you so much to all of the lovely friends and family who came and supported Goose and I on the day. It was much appreciated! I’m also hoping to do one more market stall before Christmas and I’ll let you all know the details when that is confirmed. As we’re still in the process of putting together packs to fulfill the orders, let me know in the comments section below if you’d like some. $2.50 each or $3 each if you’d like them sent to you in the mail. 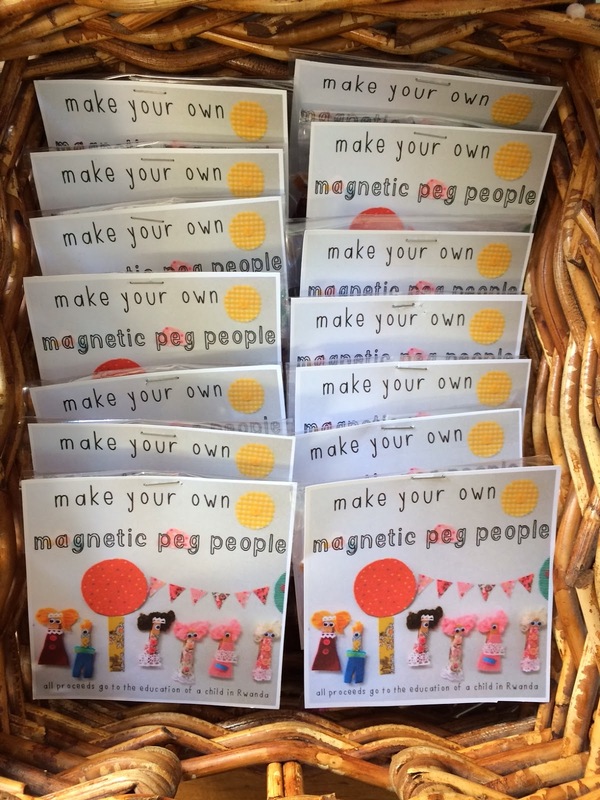 They contain everything you need to make 2 magnetic peg people. 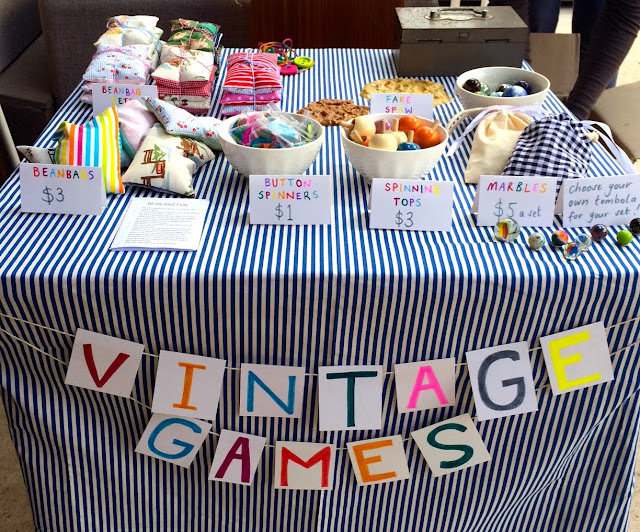 Have your kids ever had a market stall? Here are a few links to some gorgeous entrepreneurial Mums and kids that I know …. - Jacqueline’s boys annual reindeer food shop. - Simoney’s kids halloween lemonade stand to put a positive spin on halloween. - Kirra’s kids lemon-aid stand to raise money for a well through World Vision. P.S. If you are really interested in craft packs for your kids, there is a great little company, run by two Aussie Mums, called ‘Kiddie Create‘ who deliver awesome little craft packs regularly to your door with everything that you need inside. They even do customised kids party packs!